The Vancouver Condo Buzz » Spring Launch from $264,900! 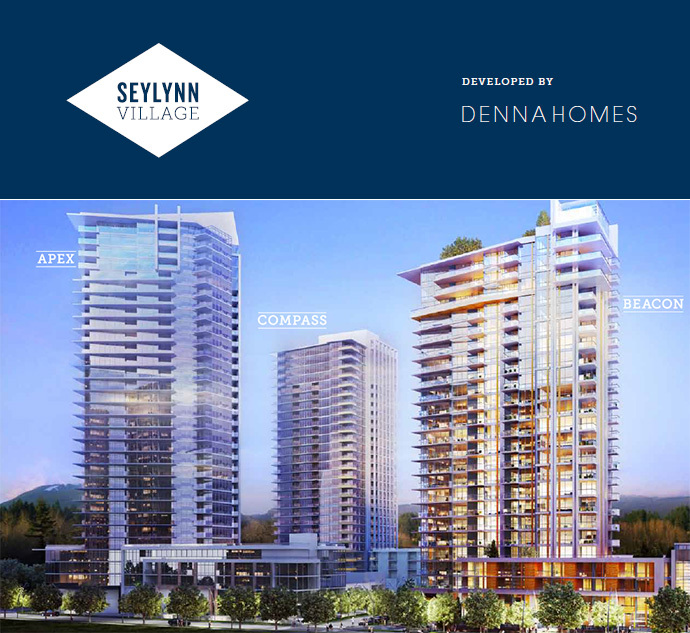 Master Planned SEYLYNN VILLAGE North Vancouver Condo Development Underway by Denna Homes! Phase 1 North Shore BEACON at Seylynn Village Condo High-Rise with FREE HOME GIVEAWAY. Spring Launch from $264,900! Master Planned SEYLYNN VILLAGE North Vancouver Condo Development Underway by Denna Homes! Phase 1 North Shore BEACON at Seylynn Village Condo High-Rise with FREE HOME GIVEAWAY. North Vancouver Seylynn Village Condo Towers! An epic development on the North Shore is coming soon to the Lower Lynn North Vancouver real estate district. Years in the planning, the Seylynn Village North Vancouver condo tower project is a master planned development situated in the Lower Lynn neighbourhood, close to the best transit routes, schools, big box retailers, shopping and dining options. In addition to the three high-rise towers at the pre-construction North Vancouver Seylynn Village condos is a vibrant town centre that will anchor the community. The world class and ground breaking development will also see the construction of the best equipped amenity clubhouse on the North Shore. Setting a new benchmark in urban liveability, the Seylynn Village North Vancouver condo project will give residents easy access to work, play and relaxation … all within minutes or within walking distance from your front door. Three new condominium towers in the heart of Lower Lynn North Vancouver real estate district are coming Spring 2013! You can register your interest for the first tower at www.seylynn.ca. 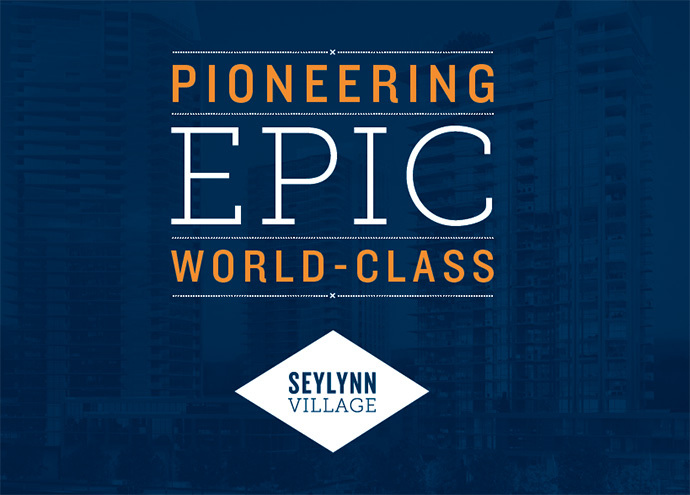 Win a FREE HOME at Seylynn Village North Vancouver Real Estate Development! According to the new web site, there is an UNPRECEDENTED GIFT at Seylynn Village! The team is presenting a free home to a lucky individual at this new and exciting North Shore project. In addition to the public art program as well as the amenities at the Seylynn Club mentioned above, the team at Denna Homes will also present a brand new home as a gift to a lucky winner of this contest. There are only 3 steps to enter: filling out the online registration form, booking a VIP appointment for previews (invite sent through email later in Spring 2013) and then visit the sales centre and register for the draw to win a free home at Seylynn Village North Vancouver by Denna Homes! North Vancouver Beacon Seylynn Condo Tower – Phase 1 Release! Opening Spring 2013, the new Seylynn Beacon North Vancouver condo tower will feature a modern twenty four storey residential high-rise. From single level apartment homes with various floor plans to contemporary family sized two storey townhomes, Beacon at Seylynn North Vancouver condo tower will be oriented to take full advantage of the stunning mountain and city views. Some of the amenities at the Seylynn Beacon condo tower in North Vancouver’s Lower Lynn district includes the following: bike and car wash, electric care power stations, Zip Cars, security cameras in common areas for extra security, bike repair area, individual bike lockers, 3 elevators to zip you to and from home, solid concrete and glass construction as well as floor plans that vary in size and functionality to match your lifestyle. Other great amenities at the pre-construction North Vancouver Beacon condos at Seylynn Village includes a large amenity space called The Seylynn Club (see above), individual storage lockers, large oversized windows to maximize views and light as well as oversized balconies and outdoor living spaces for a true indoor/outdoor experience. The interior finishes at the Seylynn Beacon North Vancouver condos for sale include triple glazed windows (great energy efficiency), as well as 3 contemporary designer colour palettes that includes Olive, Walnut or Wenge. The North Shore Beacon condos will also feature spa inspired bathrooms that have porcelain tiling and quartz composite thick polished eased edge counters, quartz counters in the kitchen along with soft pull and close hinges and European inspired kitchens. The Seylynn North Vancouver Beacon condos for sale will also have roller blinds for privacy, full sized stainless steel energy efficient appliance set, over height ceilings, air conditioning (standard feature!) and kitchen cabinets/glass mosaic tiled backsplashes. Other luxury features at the Seylynn North Van Beacon condos include European inspired materials throughout and great views from most levels. The development team at Seylynn North Vancouver Beacon condos includes: Denna Homes (developer), DA Architects + Planners (architecture), ITC Construction Group (construction firm), Insight Design Group (interior design), Glotman Simpson (structural engineer), Integral Group (green engineering) and Pacesetter Marketing (sales and marketing). 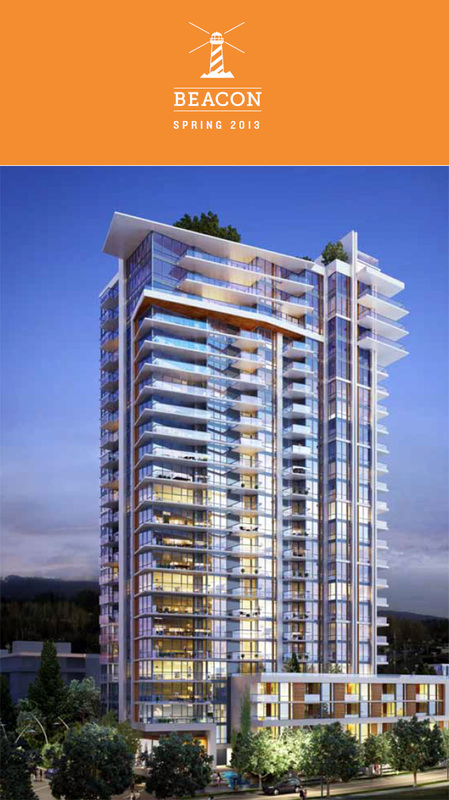 The pre-construction North Vancouver Beacon Seylynn condos are expected to launch sales in Spring 2013. For more information, please visit www.seylynn.ca.